Global food manufacturing giant Nestle announced plans last week to enter the alternative proteins market, with the launch of a plant-based burger pattie in Europe and the US. 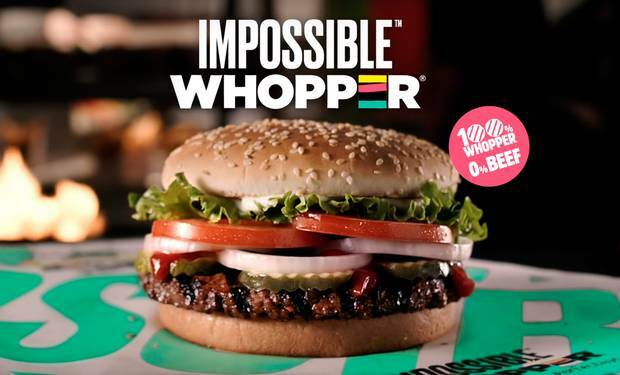 “With the rise in the price of meat products over the past five years, we are now at a stage where plant-based alternatives are comparable to traditional meat in terms of both quality and price,” IbisWorld said. “The quality of these products is only expected to improve. Eric Schmidt, the director of Alphabet, Google’s parent company, recently listed plant-based proteins as the most important trend in the technology industry, ahead of self-driving cars and 3D printing. As new technology allows the quality of these products to improve, so will demand,” Mr Caldwell said. Australians are increasingly concerned about their impact on the environment, which IBISWorld analysts suggested was a factor behind the rise in demand for plant-based products. “The meat and dairy sectors have been considered to have a large carbon footprint by environmental organisations, with research finding animal-based agriculture responsible for 18pc of greenhouse gas emissions,” it said. “In addition, raising animals for slaughter is a water and land-intensive process. According to the UN’s Priority Products and Materials report, both meat and dairy require more resources in terms of land and water, and produce more emissions per kilogram of food than plant-based alternatives,” Mr Caldwell said. Rising health consciousness is another driving force behind the trend towards greater consumption of plant-based foods, the report said. “For example, the International Agency for Research on Cancer recently classified processed meat as a Group 1 carcinogenic, placing it alongside asbestos and tobacco. As a result, domestic meat consumption has stagnated and is expected to fall over the next five years, reflecting increasing health consciousness among consumers. Demand for these products will intensify as the quality of milk and cheese alternatives continues to improve, the report said. “Australia is currently experiencing a rising fitness culture, which is encouraging more consumers to reduce their meat intake, and to move to low calorie diets. Plant-based food manufacturers have been acutely aware of this trend, and have increasingly produced foods with few calories and low levels of saturated fat. This trend has significantly contributed to rising demand for plant-based foods,” Mr Caldwell said. According to IBISWorld, the number of people following a vegan or vegetarian diet in Australia is expected to continue rising over the next five years, bringing the country’s meat and dairy sectors under increasing strain. As demand for vegan products rises, food manufacturers are expected to increase the range and quality of their plant-based foods, driving further demand. Who paid for this phony research? Sure hope beef organisations are not paying for hype to cut their own throats.